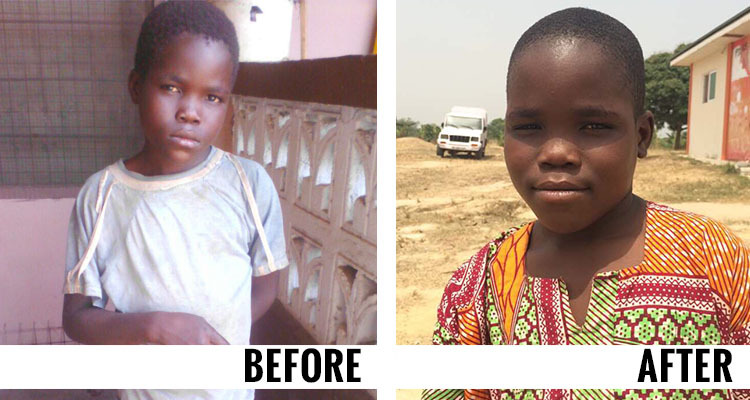 A 10-year-old boy has been rescued from slavery on Lake Volta and is now safe at the Touch A Life Care Center. Last week a boy named Remember was brought to our Care Center by Ghanaian Social Services. Just ten years old, he was reported to have been exploited and experienced the worst forms of child labor including slave-like conditions as well as physical and mental abuse. He also had no access to school or medical care. Now that Remember is at the Touch A Life Care Center, his wounds and medical needs will be treated, he will be given nourishing food to combat malnutrition, and he will be assessed by private tutors so he can begin attending school as he is able. We are thankful that Remember is now safe from exploitation and also for our strong partnership with the Ghanaian Anti-Human Trafficking Unit that working to eradicate child labor in their country. You can support Remember and other children like him by making a donation to the Touch A Life Care Center, which is the only long-term care facility for trafficked children in Ghana.